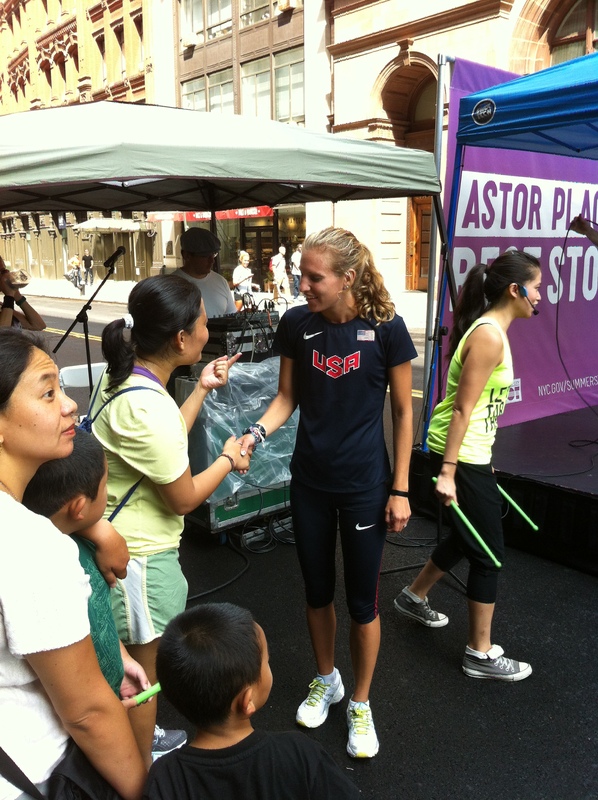 Maria Michta&Chime’s – Meet & Greet Moment at Astor Place. 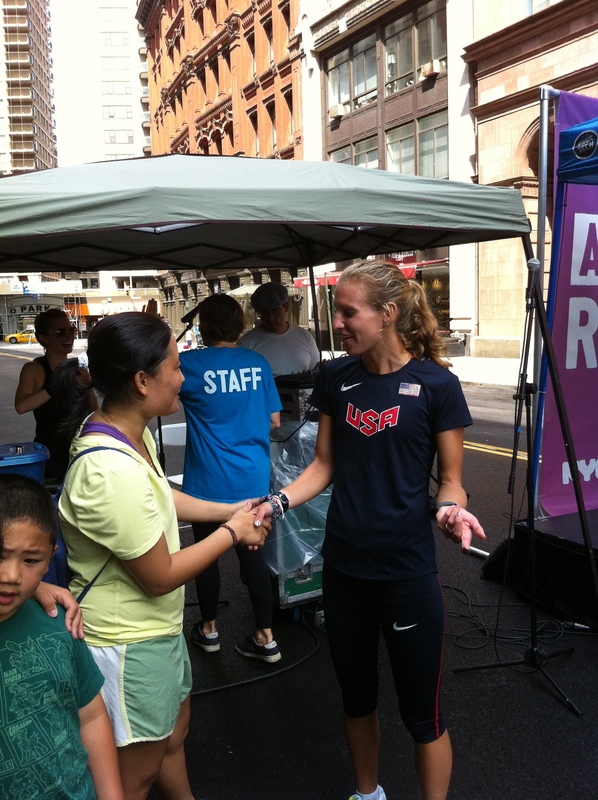 Maria Michta represented U.S.A at the 20K Women racewalk in London 2012 Olympics.Although,she didn’t win a medal, she cut two minutes and 25 seconds off her personal best race time and walked the distance faster than any American 20K walker in the history of the Olympic Games. It was an honor to meet her last Saturday at Astor Place. 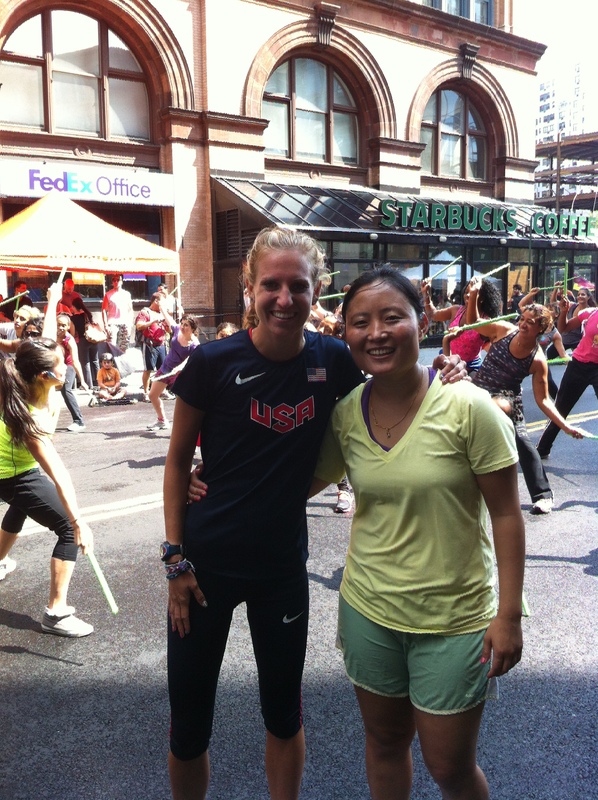 Great tips from Maria Michta on how to stay fit and healthy.